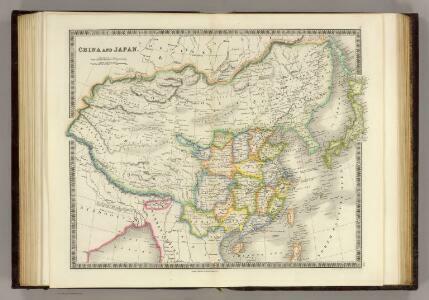 Carte Generale de l'Empire Chinois. 1 : 19000000 Vivien de St Martin, L.
107. China, Political. The World Atlas. L'Empire Chinois et du Japon. 1 : 22809600 Lucas, Fielding Jr.
1 : 19500000 Schonberg & Co.
1 : 10250000 Montemont, A. 1 : 13600000 Picquet, C.
97-98. Dominio Cinese, Impero Giapponese. 108-109. China, Mongolia, Korea. The World Atlas. Tableau l'historie de L'Asie, Inde, Chine, Japon.